What Should You know About Spanish Business Meeting Protocol? Before you begin working your way to foreign language fluency, it helps to understand the culture behind the language you’re learning. After all, language exists to help a group of people express their ideas and beliefs. Spain is an old country with a rich history and culture. As you begin your Spanish language program, gaining a strong grasp on this history, the values, and the etiquette will help you rapidly achieve success. In particular, if you want to do business in Spain or Latin America, it helps to understand the proper business protocols even before you begin talking to any potential partners. Any disagreements between associates while doing business in Latin America and Spain should be handled pretty much the same way you would in countries like the US or UK, but with more patience. Things move rather slowly in their legal system and judicial rulings are unpredictable at times. If you have an issue with contracts or payments, deal with it as soon as possible. It’s crucial that you maintain a relationship with a local attorney or firm that can give you legal advice when you need it, as court proceedings over a contract issue can be very lengthy and the judiciary is not always impartial to outside influences. As you are going through the process of starting your business and developing relationships, try to keep in touch with your partners on a regular basis to keep everything flowing smoothly. You will be better able to quickly resolve any problem or disagreement that arises long before there’s a need to involve lawyers and courts. This will usually mean a closer working relationship than you would have with a business partner in the UK or US, requiring a lot more of your time. Latin America and Spain have strict labor laws but management style and hierarchy is similar to that of America and many other countries; the pyramid style of the boss and several levels of management. Foreign managers should familiarize themselves with the local rules and laws regarding outsourcing, contracts, maternity leave, disciplinary procedures, and termination. Similar to the American style of management, a businessperson managing staff in Latin America and Spain will be expected to maintain the appropriate distance, while displaying enough empathy so employees feel comfortable enough to approach him or her with any concerns. Titles and formalities are observed for the most part throughout all the different areas. You should address your peers with “Senor” (Sir) and “Usted” (the formal singular form of “you”) and only change to a less formal “tu” (informal singular form) if the person you are addressing stops using formalities. Engineers are usually addressed as “Ingeniero,” University graduates as “Licenciado,” and a businessman with a master’s degree as “Doctor.” The person’s title is usually included on their business card. Business people from outside of Latin America and Spain are not expected to use these titles, but being aware of them may be advantageous. Using titles is particularly helpful if you have any interest in doing business anywhere in Latin America or Spain, or opening your own business and employing local people. The style of conducting business in Latin America and Spain is heavily influenced by US management models, but people take a lot more time getting to know their business associates in these countries, before actually getting down to business. It’s very important for foreigners to understand this in order to make a good impression, and to spend the time necessary to meet and get familiar with the right people. Networking and staying up to date with contacts is also valuable. The time it takes to build relationships with prospective business partners can be aggravating to American and European entrepreneurs, who are anxious to get the ball rolling. They must understand the slower pace and make more time for meetings, because trying to hurry their partners and rush through the process may be viewed unfavorably. Most negotiations will require several visits before an agreement is reached. 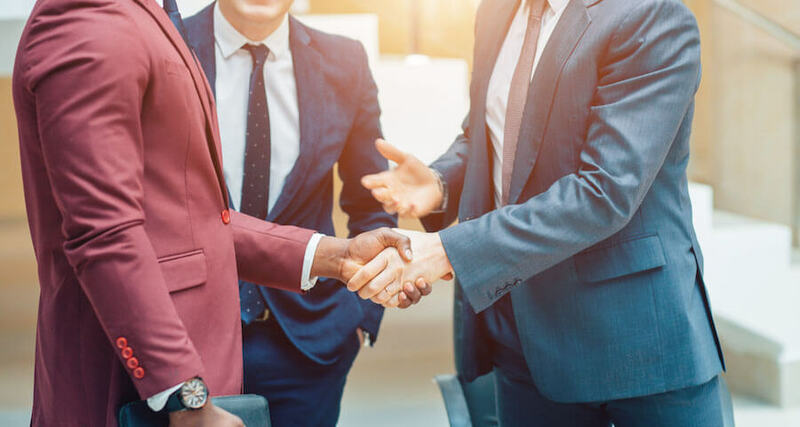 A crucial factor in successful dealings is meeting people who can connect you with company heads and decision makers, or who can give you guidance about influential people or otherwise point you in the right direction. The history of business relationships in Latin America and Spain is similar to the way things are done now. You had to have the right friends or come from what was considered a good family, or “buena gente,” to secure deals or meet with those who could. A very small percentage of the population, the rich upper class, basically controlled everything. So historically, first meetings are being conducted today as they’ve always been, small talk about yourself, family, where you’re from, maybe who you know, and what you think about their country. The double standards impacting women in the workplace of many countries can also be seen in business settings in Latin America and Spain. There are changes in process as there’s a growing number of women being employed in middle management during the past five years and women are earning higher level degrees at a faster pace than their male counterparts. In addition, female entrepreneurs are achieving success in a variety of industries. The men in Latin America and Spain nevertheless, occupy most of the top positions in the corporate world and machismo is common at all levels in the workplace, particularly in male dominated industries like construction. There still exists the belief that women are better suited to a life of rearing children and taking care of the home and family. The women that do secure gainful employment in the business world, particularly in marketing and sales, are usually chosen for their looks. They still experience discrimination, to include lower salaries, than their male counterparts. Many of the women work as food vendors using street stalls so they’re able to have their children with them. In Latin America following customs is essential to having successful interactions with anyone you meet. In business relationships in particular, following the right traditions is the easiest way to appear favorable to your client. As far as business meetings go, the general custom is to bring a gift for your client. Typically, the gift is something unique from the country of that person’s origin. A present that would be acceptable to bring on one’s first business meeting would be candy, whiskey, wine, shortbread, or something similar. Bringing a present on the first meeting is a pleasant introduction to the business at hand. These gifts essentially act like icebreakers and are an excellent way to extend hospitality to the client in general and especially around holidays. Any present that people may bring should be gifted like trinkets or foodstuffs from back home, acting as a way to show the client more of that person’s culture and country. Depending on where you are in Latin America, the wrong type of present can be misinterpreted as bribery. It is a good idea to shy away from gifts that are too costly or anything that is a designer brand. These types of gifts may be fancy jewelry, gold pens, or something similar, as these may not be seen as simply presents but rather an incentive to bend the rules or convince the client to change their mind on something. To avoid this kind of situation, many of these countries prevent these companies from accepting any types of gifts.